Ben Affleck may never suit up as the Caped Crusader again, but in the eyes of Zack Snyder, he is the perfect Batman. The filmmaker, despite being credited as a producer on Aquaman, which is currently tearing it up at the box office, is no longer involved with the current big screen DC universe, which he essentially created. But Snyder decided to share some photos of Batfleck recently and had some major praise for the actor's take on the character. Zack Snyder isn't all that active on Twitter or Facebook. Instead, he often posts to the social media site Vero. Recently, Snyder shared several black and white photos of Ben Affleck as Batman, as well as his stunt double Richard Cetrone. A couple of which hadn't been shared previously. There's nothing overly remarkable about the photos themselves, but it's his caption that's worth honing in on. Here's what Snyder had to say. "I was transferring some photos from my old computer and came across this, not sure if I ever shared this one but it's cool, Leica monochrome 50mm...Ben is my perfect Batman." Those few words bring up so much. Zack Snyder started his version for the DC universe with Man of Steel, a darker take on Superman than we had ever seen, and one that proved to be divisive. That led to Batman v Superman: Dawn of Justice, another highly divisive movie that would bring in the Ben Affleck version of the character. It was a casting decision that was highly criticized initially. However, quite a few DC fans took to Affleck's Batman and have shared similar praise. Unfortunately, Ben Affleck was stuck playing the character in movies that were troublesome for Warner Bros. Batman v Superman: Dawn of Justice, despite making more than $800 million worldwide, wasn't what they were expecting. That led to major changes on Justice League, with Joss Whedon coming in to handle massive reshoots and, in all likelihood, that will end up being the last we see of Affleck in the cape and cowl. But Affleck was executing Snyder's vision. And it was Snyder who cast Affleck in the first place. To him, this is the version of Batman he wanted to see. And, perhaps if things had worked out differently, Affleck would have been our Batman for years to come. 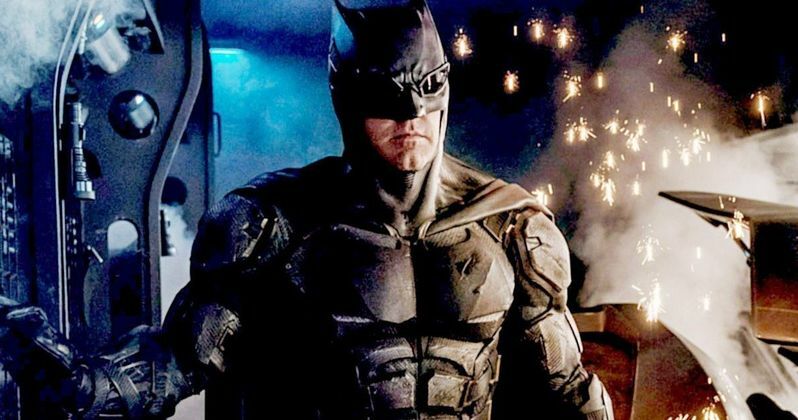 The Batman solo movie is still in the works at Warner Bros. with Matt Reeves (War For the Planet of the Apes) still attached to write and direct. He took over once Ben Affleck stepped down. While nothing is set in stone, it looks increasingly like Reeves will cast a new actor to play Batman in his movie and, with that, Ben Affleck's time as the Caped Crusader will come to a close. The Snyderverse is no more. We'll never see the Snyder cut of Justice League. We'll never know what could have been with Batfleck. But to Snyder, what we got was perfect. Be sure to check out the images of from Zack Snyder's Vero below.